Hello! Glad to know you’re still reading my travel journals from Hong Kong. We share some personal experience that might inspire you to go to Hong Kong if you never been here. 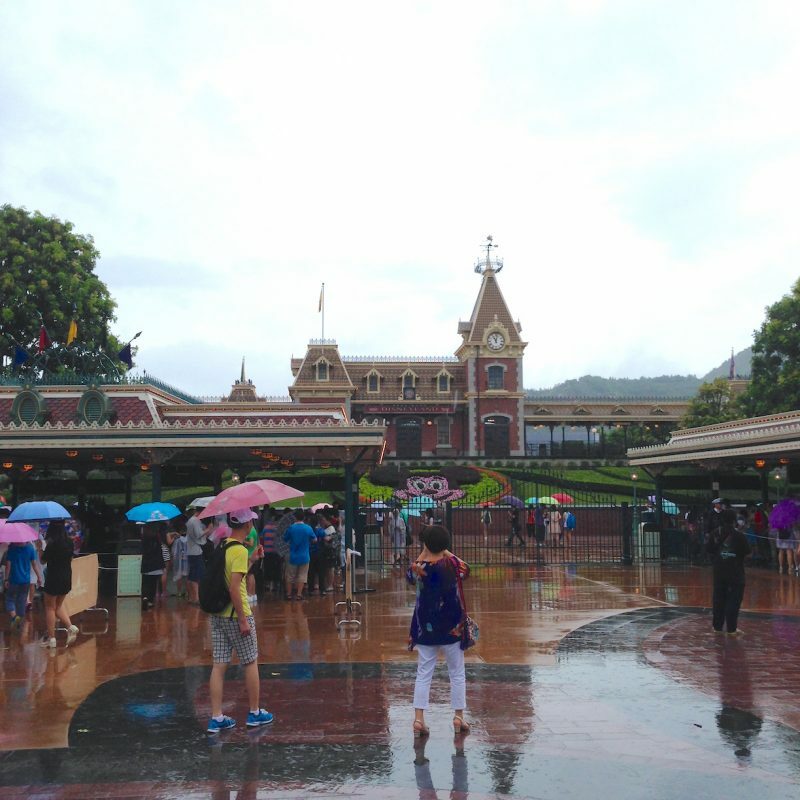 This post is all about Disneyland Hong Kong experience, which was a shame because I cannot enjoy it. I will tell you why in a moment. Soo.. Waking up on the third day in our hotel. As usual, we look for breakfast, just around the block. This time, we’re kinda excited to go, because today we’re gonna hit Disneyland! Yep, that Disney. The famous tourist attraction in Hong Kong. 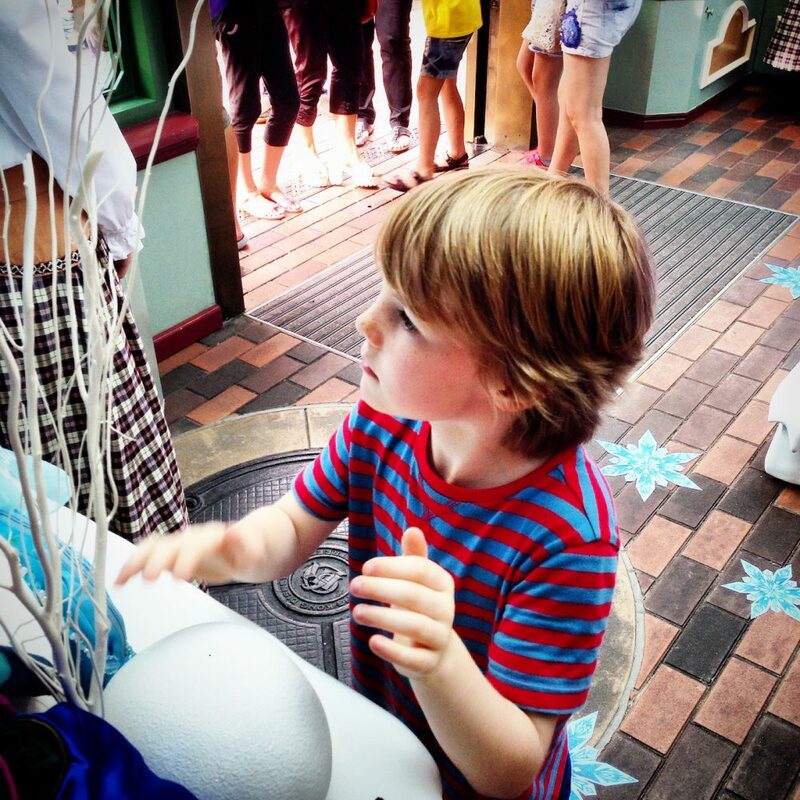 Heaven for children and those Disney fans. The clock hits 10 a.m., and we’re already on our way to MTR. You don’t know how to get there? Here’s a little information about getting to Disneyland. Check it out. 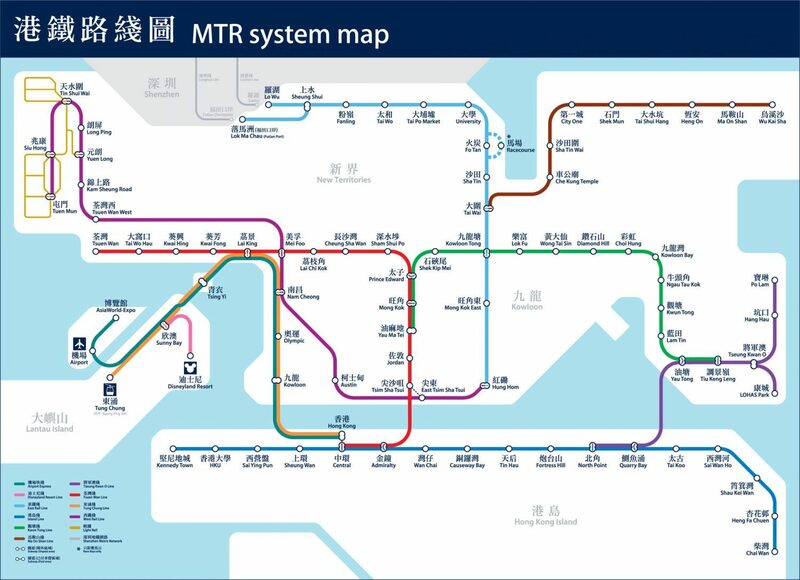 It’s simple, get to the MTR, take the orange line (or green), move to the pink line (Disneyland line). Took us about 20 – 30 minutes something to get here. The first thing that will welcome you is the crowd. It’s already raining when we’re at the MTR, so we know what to expect. Jammed tourists at the MTR station in Disney stop. It’s so full, packed, and not moving. Barely find a space to move, we tried to sneak our way out from there. 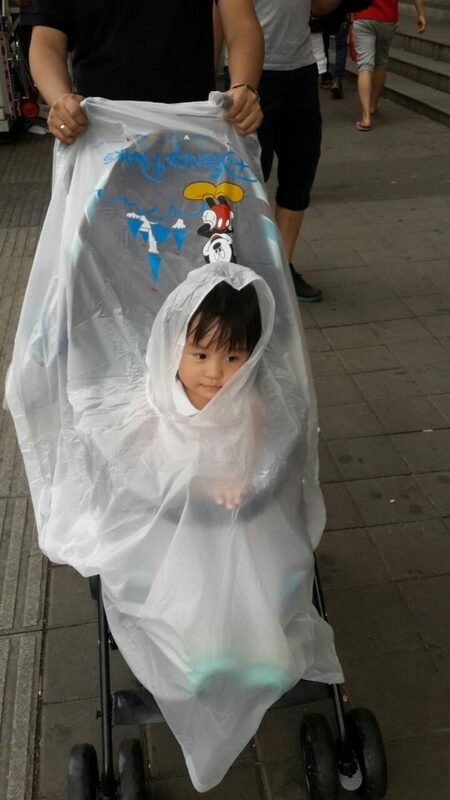 You actually can buy an umbrella, raincoat, with the Disney brand on it for some dollar. But I’m not buying because I just don’t like it, I’d prefer to go through the rain instead. You actually can buy an umbrella, raincoat, with the Disney brand on it for some dollar. But I’m not buying because I just don’t like it, I’d prefer to go through the rain instead. After some moment, the rain got less and started to subside. People start walking to the entrance. We can feel the excitement from these visitors as they rushed to the entrance. Maybe they just don’t want to queue too long. Looking at the visitors, there will be definitely a long queue. Maybe they just don’t want to queue too long. Looking at the visitors, there will be definitely a long queue. It is recommended to buy the entrance ticket NOT at the counter. Why? 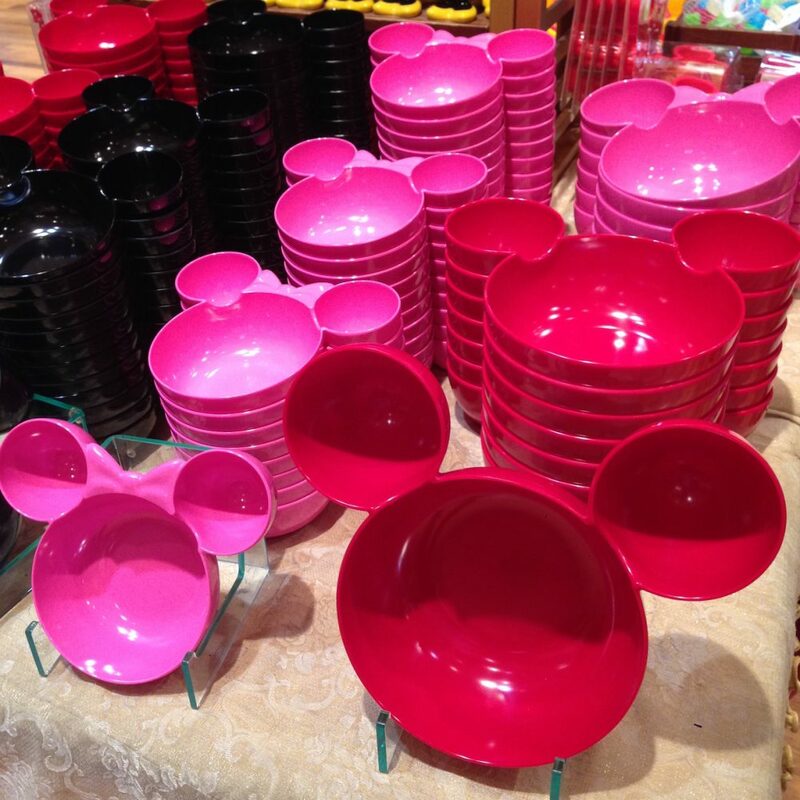 You’re gonna have to be patient for the queue, and anyway, it’s easier to just buy it online, or you can buy it at places that offer a cheaper price than the official Disney, such as guest houses. Google it, there’s a lot of info about the cheaper Disneyland ticket. It’s really annoying on how the weather changed in an extreme way, and so fast. From that cold raining weather, suddenly there comes the sun shining and put all the heat on our head. That kind of changes will surely make you dizzy. Right after we enter, we took some photos with their icons, which will welcome visitors especially children. Hi! Welcome to Disneyland! This building looks nice. Now here comes the main story. It’s cold because it’s raining. But we’re hungry so we’re trying to find something to eat. And our choice falls shortly to one restaurant right at the right corner of the main street, right before the fountain. Shortly, we’re all having a headache, due to the rain I guess? It drastically changes from this. Looks a bit dramatic, isn’t it? LOL. I strongly recommend to go here during winter, it’s much much better. This summer, the heat was crazyy.. I’m melting… So much… Good thing that we rest a while for lunch at this restaurant, thank God it’s air-con. After finish eating for about 1 hour, we heard this charming music, yes it’s charming, makes you want to sing along and dance with it. At least I do. 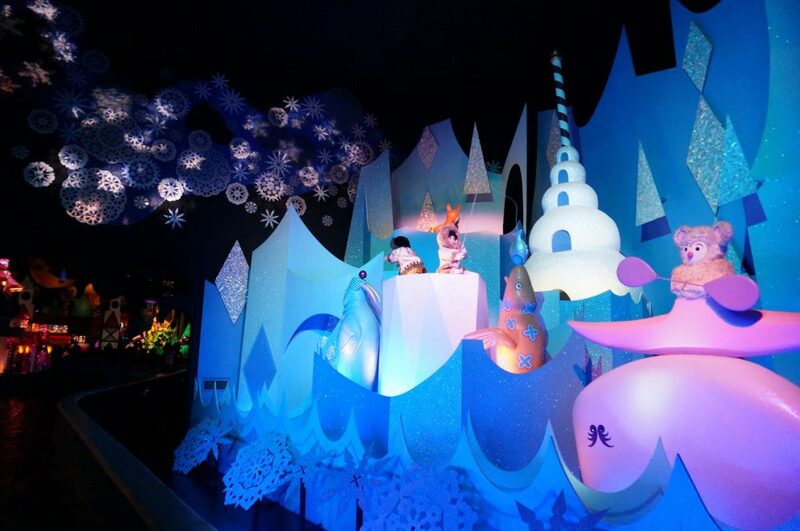 It’s the flight of fantasy, their famous parade. Right after we get out of the restaurant, we have to “book” a space to watch the parade. Know that everybody wants to get the front row, and in this heat, anything could go wrong, you know. There’s basically some staff to guide us back behind the red line, so the parade can make through. Here’s a glimpse of it. I don’t really know every character from Disney, but only a few of them. We didn’t enjoy this place that much. Besides the queue that goes like crazy, mostly it’s because the heat that just too much, that we cannot handle it anymore. So we just able to enjoy two rides. 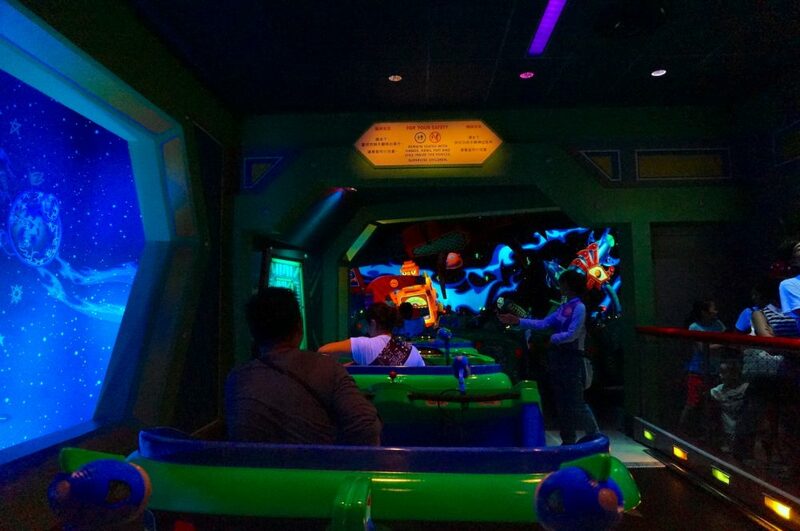 “The Buzz Lightyear Astro Blaster”, and the “It’s a Small World”. 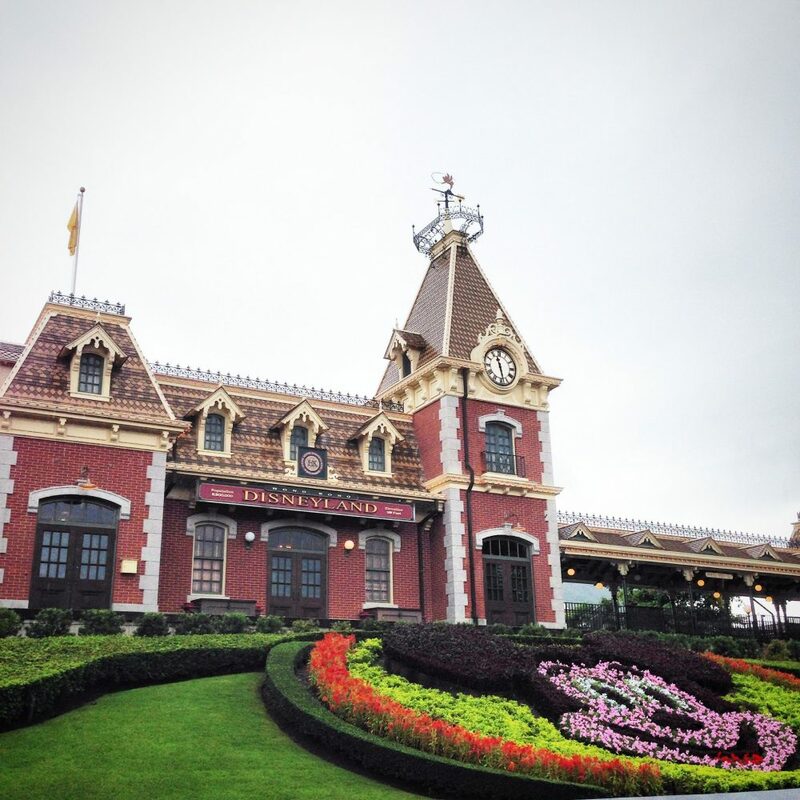 Check our post for more detailed info about Disneyland. 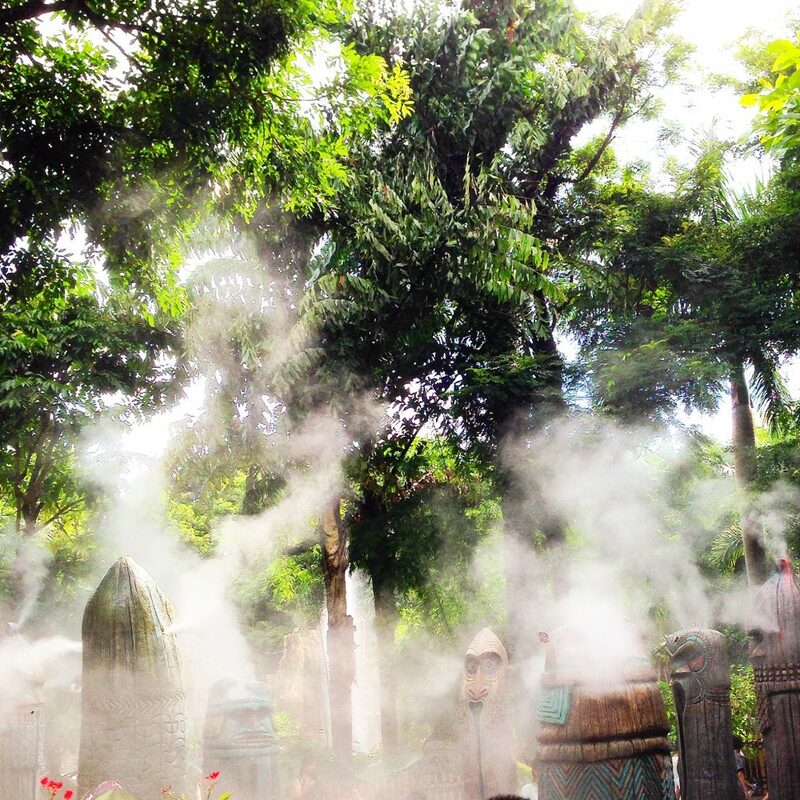 For all the attractions, maybe you want to plan it out before going here, which one you want to try, as in peak season, most likely you cannot try everything considering the queue. And.. That’s that. So we finally decided to go back, we just can’t take it, too hot. We bought some ice cream and walk out with a little bit detour to find the exit. Liki Tikis! Thank God for these water misting! An oasis in the middle of a desert. Found a cool little dude! Mickey Bowl Souvenir, but we only bought a keychain. Classic. Shopping their merchandise can be one expensive shopping time. You can buy them also at the airport anyway. One useful tip : Bring an umbrella or a hat. You definitely need it. Or you can just buy one here. Of course kind of over price, but again it’s a souvenir. So yeah, it’s subjective. That’s the end of our Disneyland trip. We’re going back to our hotel, and take a rest for a while, everybody exhausted and got a headache. What a heat. That’s definitely not a great experience. After some rest, we go out again for some walk, and of course food plus shopping. 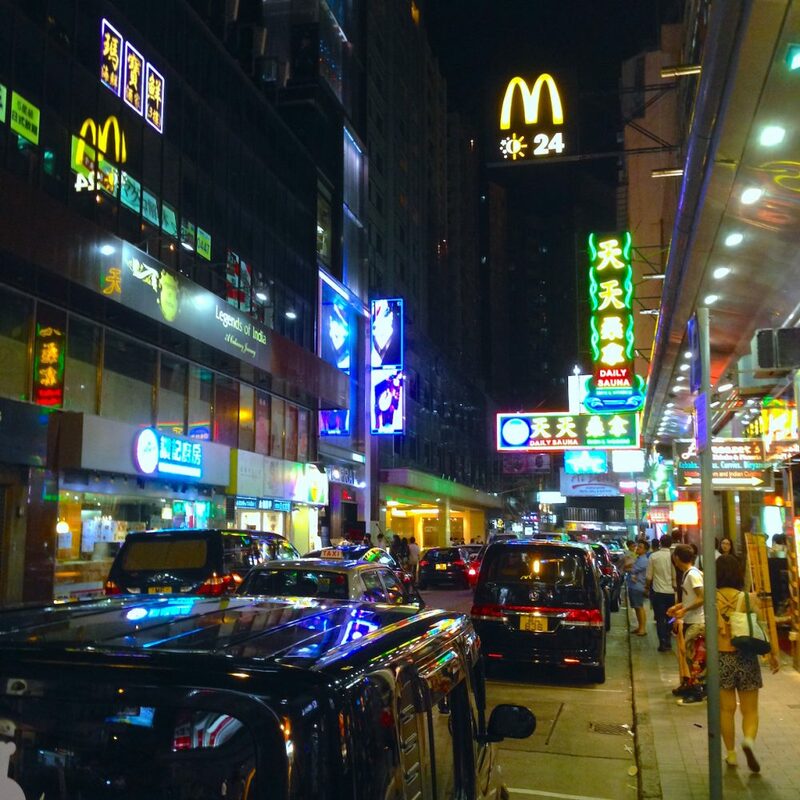 Again, have a walk at night in Hong Kong is nice. It’s the busy and brighten with LED streets that make it look great. For the barbecued and stirred snacks, they tasted good. I love the fishball, very tasty. Somewhere from 3 HKD ++ per piece. The sausage wrapped in bacon costs 9 HKD, that’s a must try. Satisfied with eating, we end our walk with shopping along Nathan Road for some clothes, jeans, and other things. 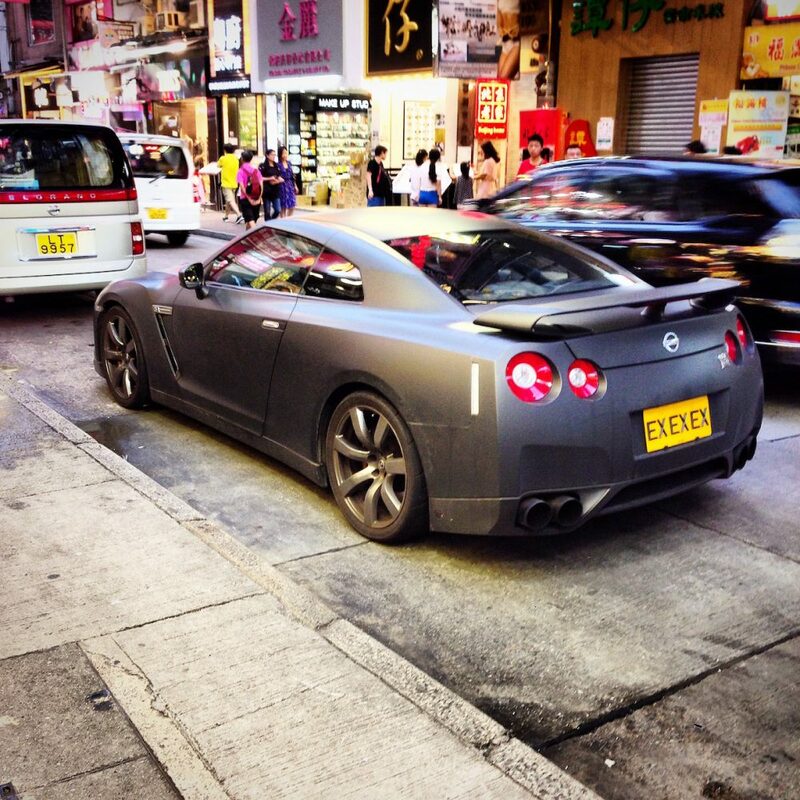 Nissan Skyline EX EX EX, LOL! At the end of the day… I give myself a conclusion that I enjoy my night walk with street food and shopping more than I enjoy Disneyland today. 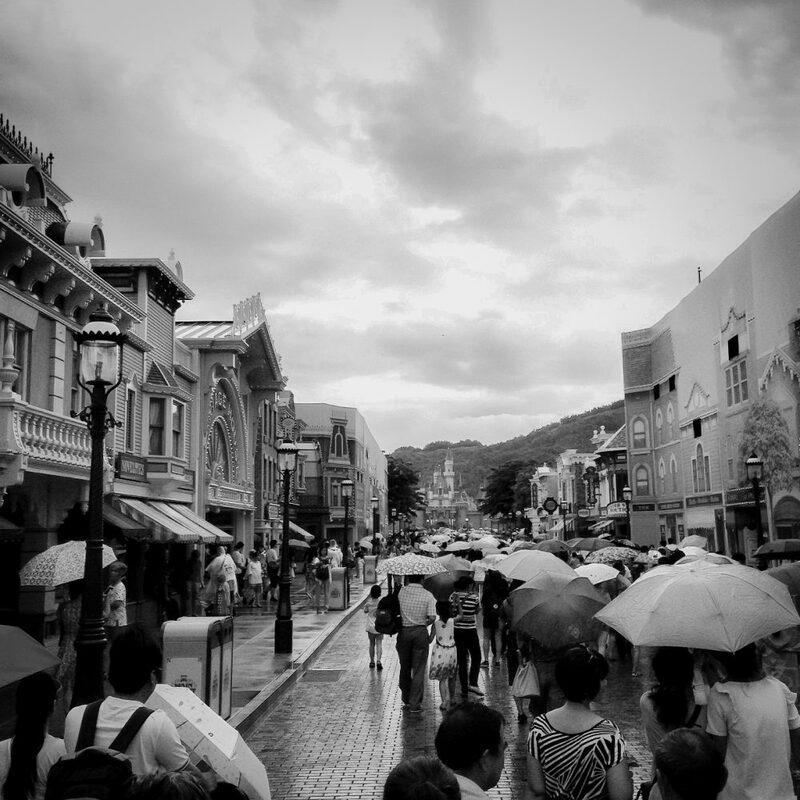 It’s raining, it’s bloody hot all of a sudden, it’s very crowded, all of those combined just ruined my mood. Go to Disneyland Hong Kong in winter, somewhere around December to February. Definitely will be much much more enjoyable. The weather is pleasant and mild. Average low and high temperatures are 16 °C (61 °F) and 20 °C (68 °F). That’s good to enjoy a theme park. 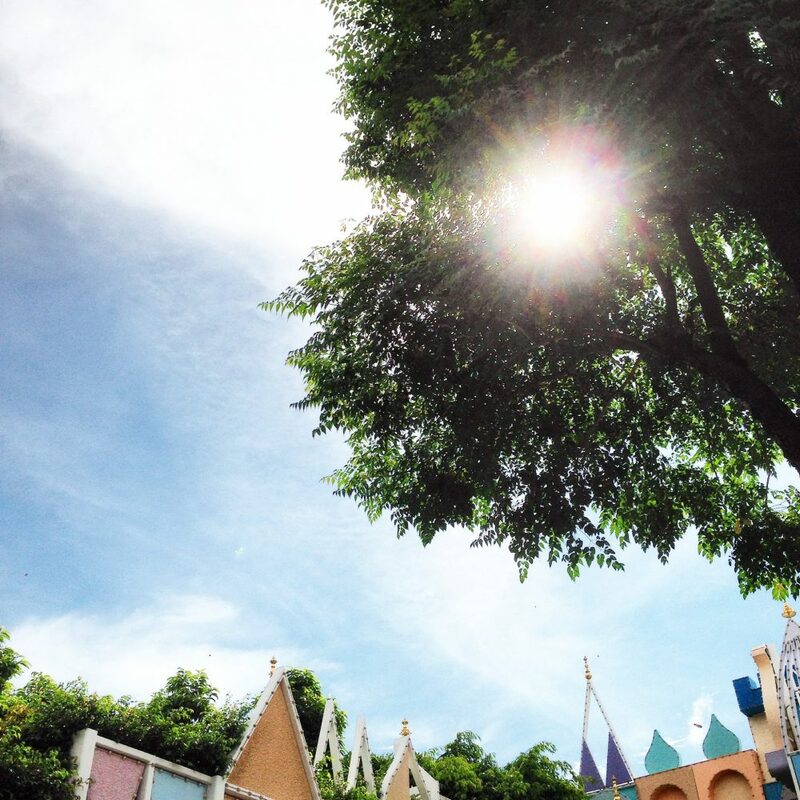 So what do you think about Disneyland Hong Kong? Been there? Share some of your experience in the comment below. Thanks for sharing! Until next post, bye! Looking for the best deal to stay in Hong Kong? We stay at Holiday Inn, a nice hotel with a very strategic location. 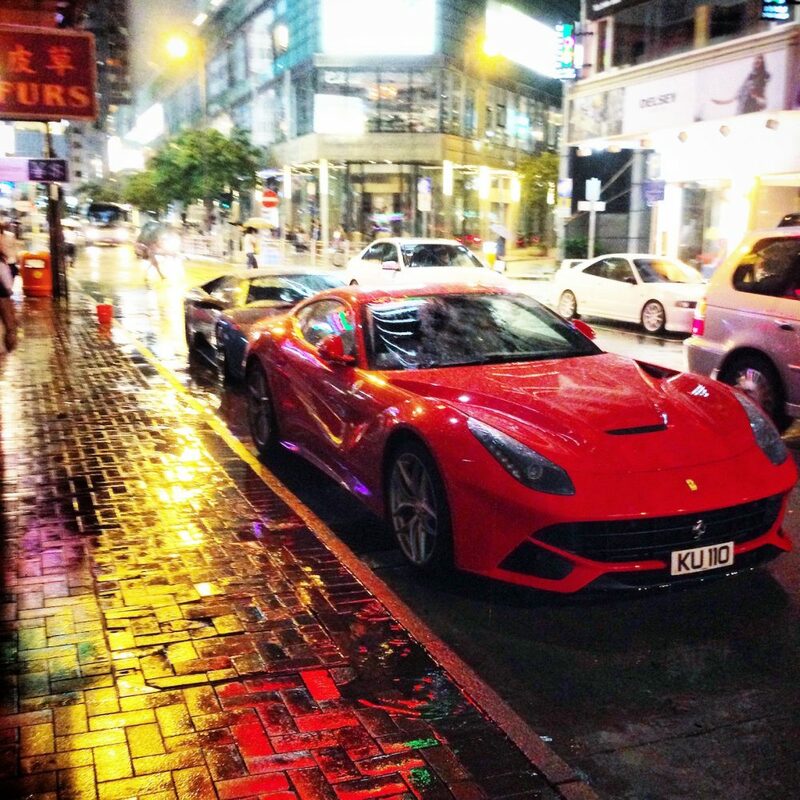 Do you want to ride a Tesla in Hong Kong?